After much delay, an important space bill has finally passed in the Senate. The Space Act of 2015 would do a lot of things to encourage the private space industry--including extending the "learning period" wherein fledgling spaceflight companies can operate without too much government oversight. 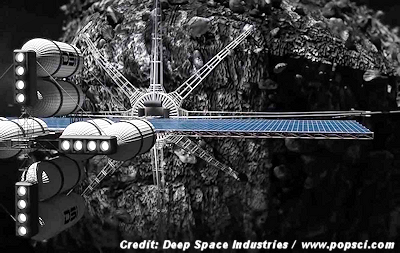 It would also give companies the rights to the resources they might one day extract from asteroids, such as platinum and water (which, believe it or not, is a valuable resource in space).